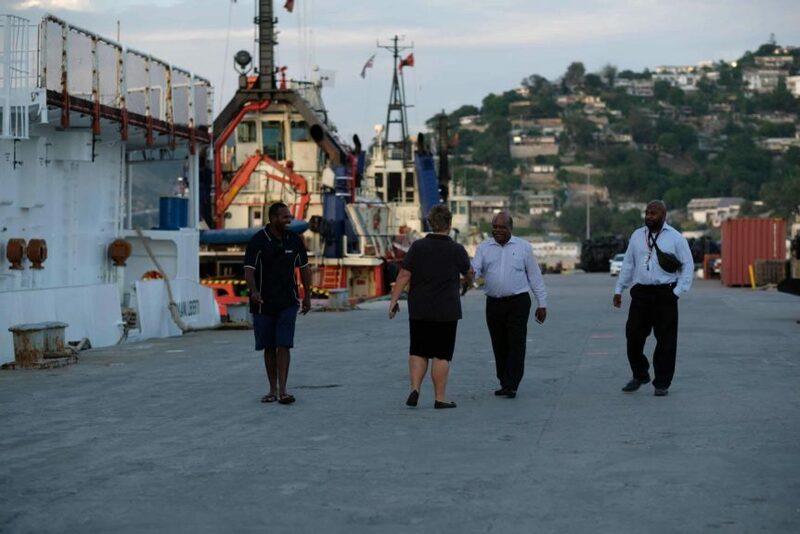 Sir Rabbie Namaliu, former Prime Minister and patron for YWAM Medical Ships in Papua New Guinea, visited the m/v YWAM LIBERTY this week in Port Moresby. It was the patron’s first visit to the ship and he appeared struck by the size of the vessel in person. Namaliu was given a tour of the vessel starting with the big cargo hold that will be transformed in just a few months by medical containers that are currently being assembled all over the world. These sea containers — which are being converted into rooms for dental and eye surgeries, tuberculosis laboratory and a pharmacy — will remake the former supply vessel, enabling it to go to remote communities with life-saving medical services. 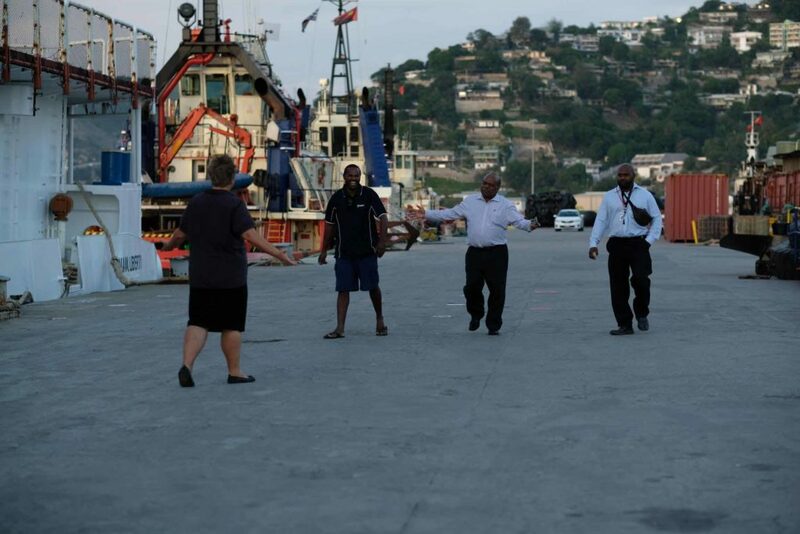 Captain Pitau Morris led the special guest to the bridge and explained that the ship is unique in that it has the most powerful engines in Papua New Guinea. There are no other ships in these waters that offer this type of experience. 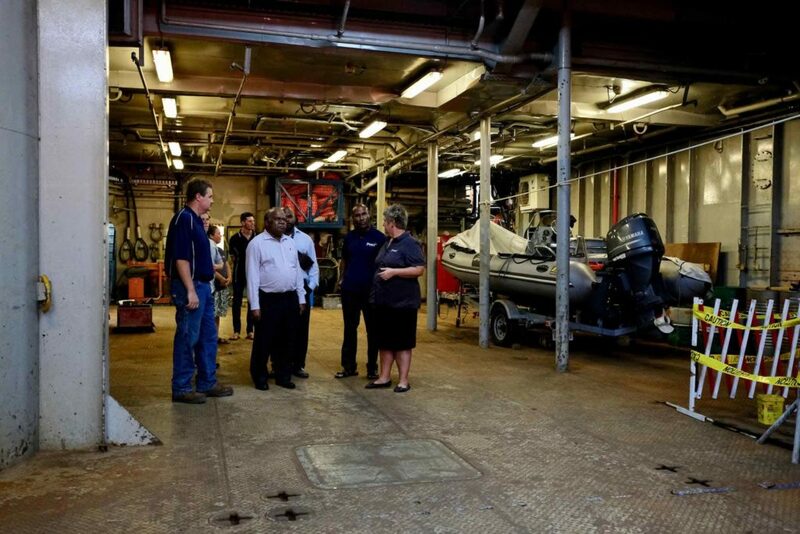 Only through volunteering with YWAM can Papua New Guinean seafarers work on this size of engines, he said. 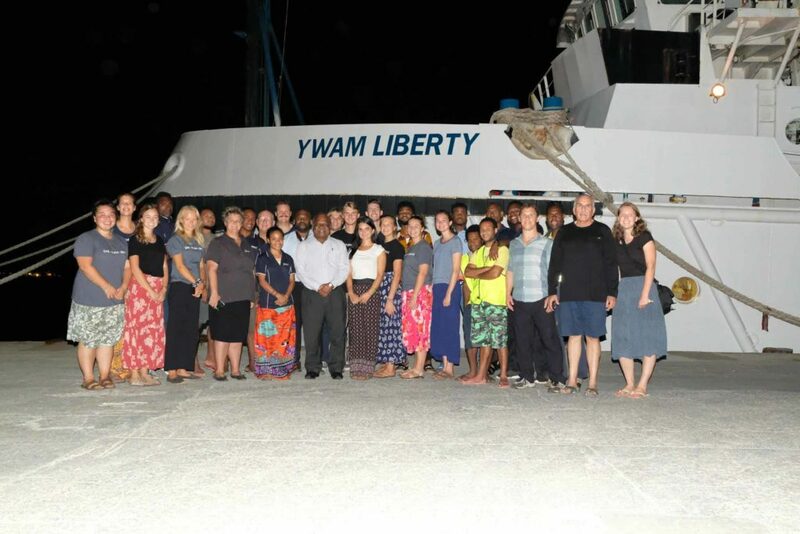 The m/v YWAM LIBERTY will deploy for service in June and join the fleet of four YWAM ships working in Papua New Guinea.